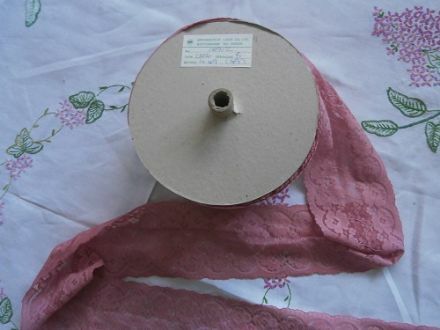 This very pretty dusky pink stretch vintage Nottingham lace would make a lovely embellishment for lingerie. 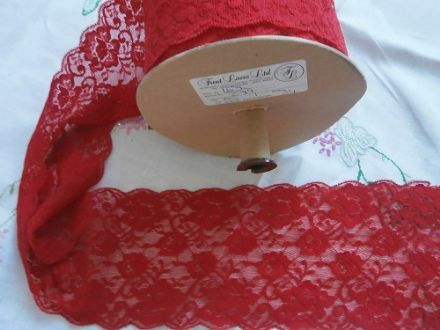 This breathtaking vibrant red, stretch, vintage Nottingham lace would make a lovely embellishment for lingerie. manufacturer, Trent laces Limited, Nottingham. This is a very feminine lace available in Cream or Peach. Manufacturer Frederick Johnson Lace Company, Nottingham. 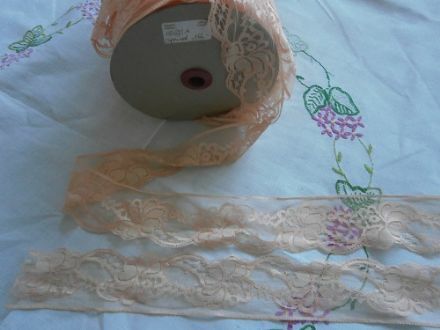 This is a lovely feminine vintage lace available in a rich apricot colour. Manufacturer,Trent Laces Limited, Nottingham. 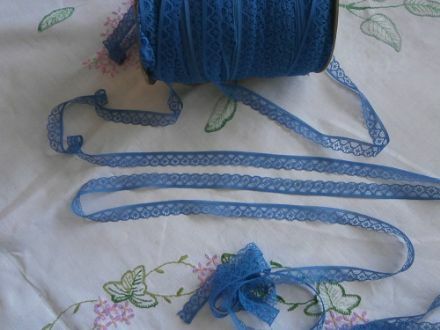 This is a gorgeous mid blue feminine vintage lace. Manufacturer, Frederick Johnson and Company, Nottingham. 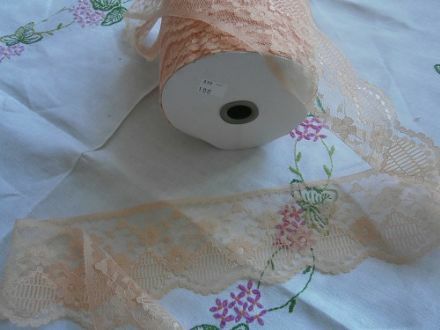 This is a gorgeous tangerine colour, feminine vintage lace. 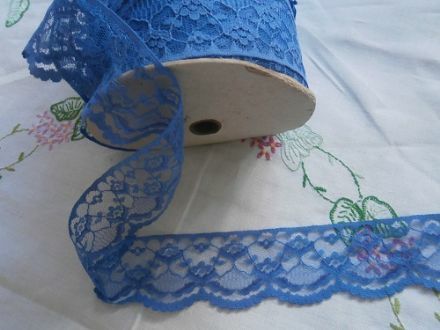 This is a lovely delicate little vintage lace available in Cobalt Blue or Mint Green. Manufactured in Nottingham from a man made fibre. 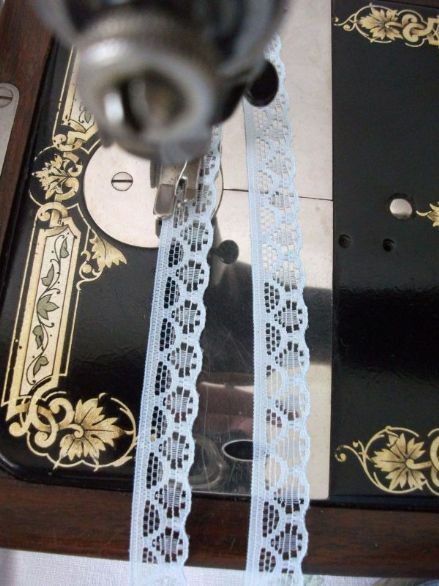 This is a lovely delicate little vintage lace available in Baby Blue. Manufactured in Nottingham from a man made fibre. 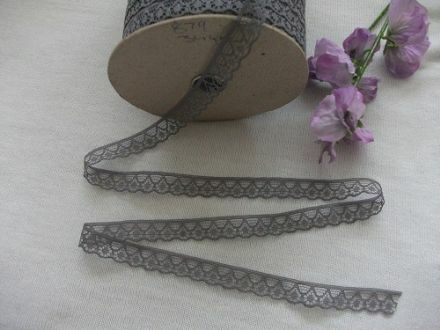 This is a lovely delicate little vintage lace available in Deep Grey. Manufactured in Nottingham from a man made fibre. 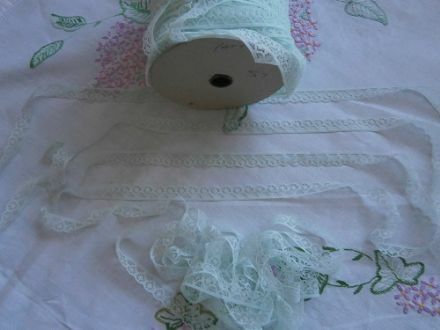 This is a lovely delicate little vintage lace available in Mint Green. Manufactured in Nottingham from a man made fibre. Our beautiful genuine vintage Nottingham Man Made Fibre lace has been sourced from Nottingham manufacturers. 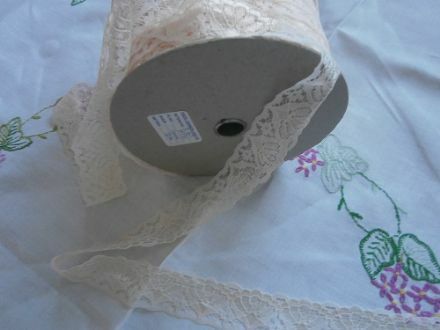 We only buy rolls of lace where the provenance can be proven either by buying directly when old discontinued stock is available or by ensuring that manufacturers labels are still present.